Borsalino men's cologne exudes a woodsy fragrance that evokes visions of rugged masculinity. Notes of manly leather, musk, and clary sage combine to create a natural scent that is casual enough to wear every day. Hints of jasmine, lavender, and carnation add an aromatic appeal that is sure to make others take note when you enter the room. 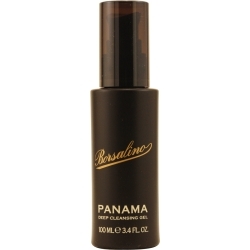 Designed with the mature man in mind, this classic fragrance was created by Borsalino and introduced in 1984.